I am SO excited about this make. In fact, I think it's one of my favorite projects in a long time. It addresses a wardrobe gap, I wear it all the time, and it fits well. Check, check, check! As I've been mentioning nearly every post, I've gotten bigger from lifting weights. I keep mentioning it because it keep encountering it every day. I can't tell you how many times I've been getting ready in the morning, only to have to change my outfit a couple times because some garment doesn't fit. The most dire gap in my wardrobe is trousers and jeans. As of last week, I was down to one pair of vintage jeans and two pairs of trousers. 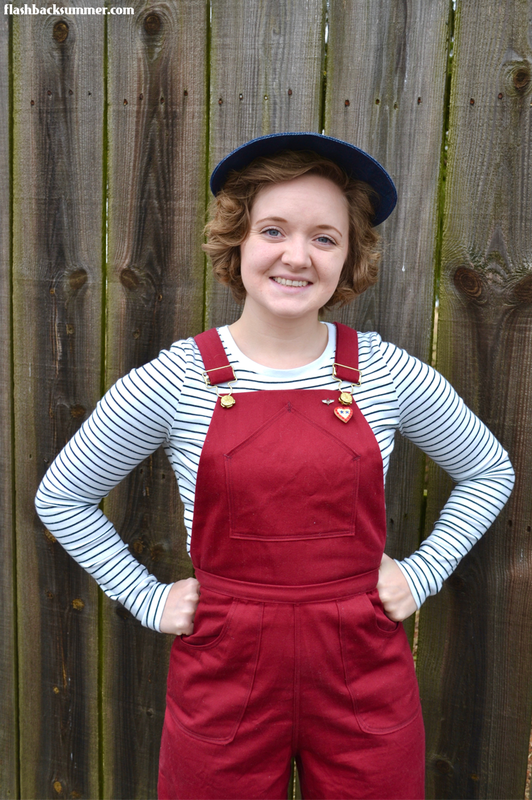 My most devastating discovery was that my beloved overalls no longer fit. After bequeathing them to my younger sister, I started putting a plan together. I re-printed the Wearing History pattern and cut it out in a larger size. Since I'm not sure where my measurements are going to land, however, I decided to go with a different top. The bodice top is fantastic, but it's not forgiving for size changes. 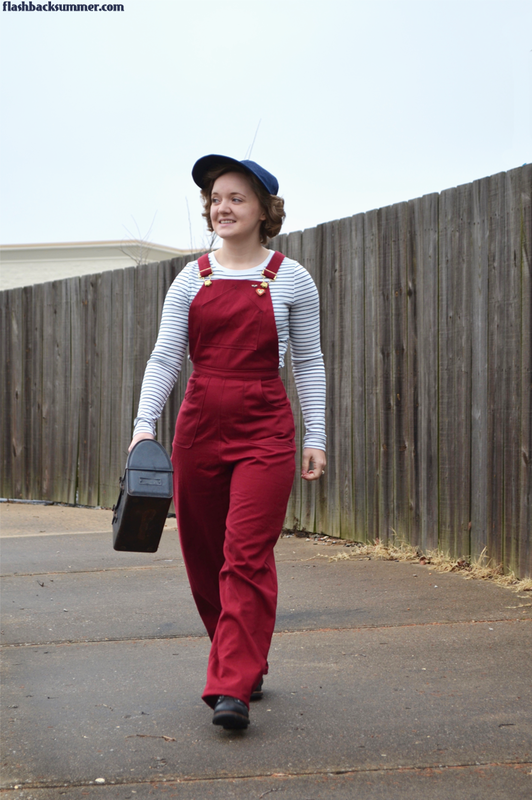 I decided to copy the bib off of these 1940s overalls (on the right). It's essentially just a trapezoid, and the new straps are just long rectangles. I measured and drew out test versions on paper and held them up to myself until I felt like the proportions were right. For me, I made the bottom of the trapezoid slightly smaller than the width of the front trouser pieces. I then just drew and trimmed another piece of paper for the house-shaped pocket. The downside of a self-made wardrobe is that it takes a long time to create it. 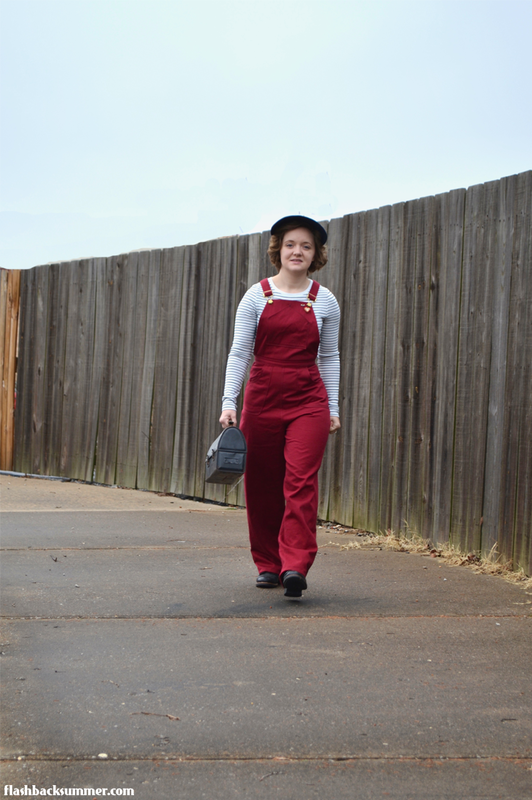 Since I don't just go out and buy a lot of my pieces and take time to create them, I needed to make these overalls as versatile as I possibly can. It may be a while before I have a lot of bottoms I can choose from, so I need to be able to style these several ways in the meantime. So... 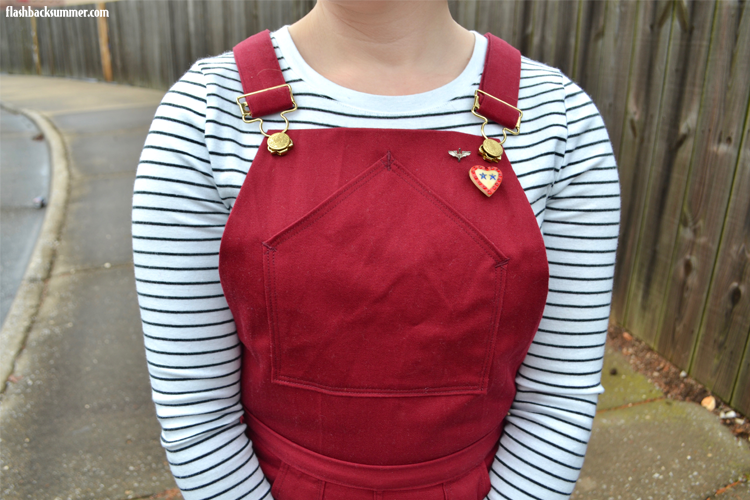 I decided to make the overall bib and straps removable! 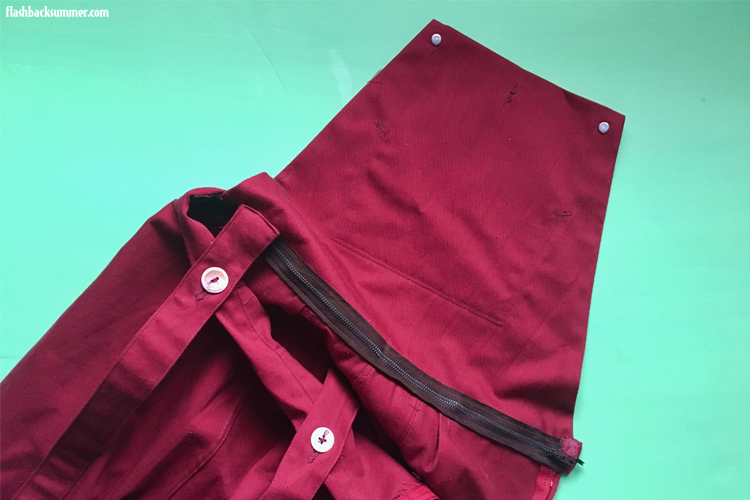 I added a separating zipper to the inside of the trouser waistband and bottom of the bib, and the straps are held on with buttons on the back of the waistband. 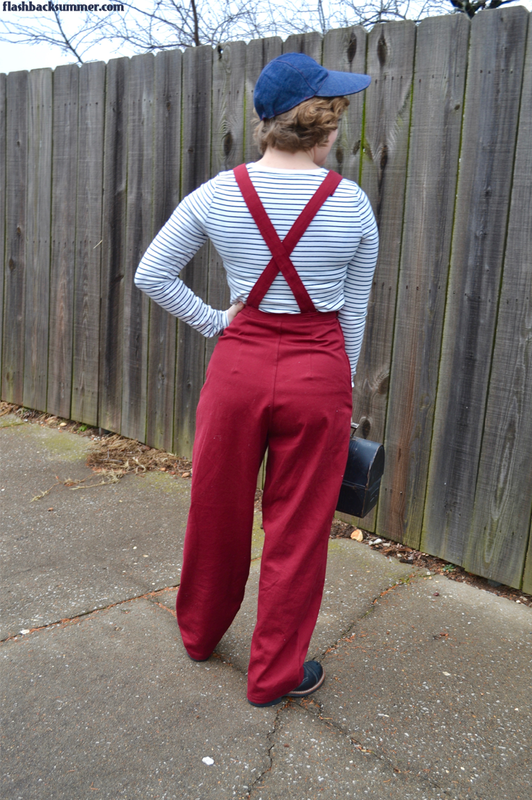 Now I can choose to wear red overalls or red trousers! I also added 1" to the 1/2" seam allowances on the outsides of the leg pieces. If I need to alter them in the future, I'll have plenty of room and I can easily rip them out to re-sew. 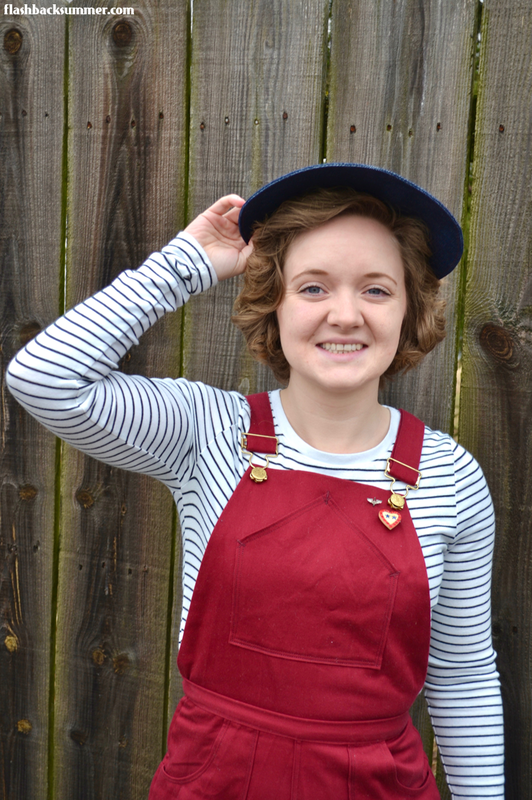 Another awesome thing about the Wearing History Homefront pattern is that it comes with a fun hat! I attempted to make this hat before and it turned out way too large, so I tried again this time in a smaller size and was sure to stay-stitch the bottom edges first thing. I also used an old shirt box to stiffen the visor in the spirit of "make do and mend." I added a lining to make the hat reversible, too. I'm really feeling my versatility ideas on this outfit, haha! Any tricky parts to the pattern? Nope, very straightforward! Did you change anything? 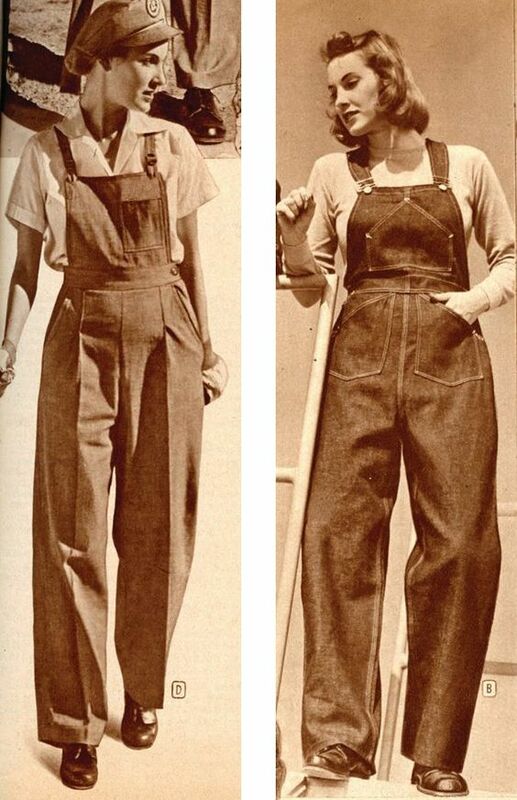 Obviously, I changed out the top of the overalls and made them removable. 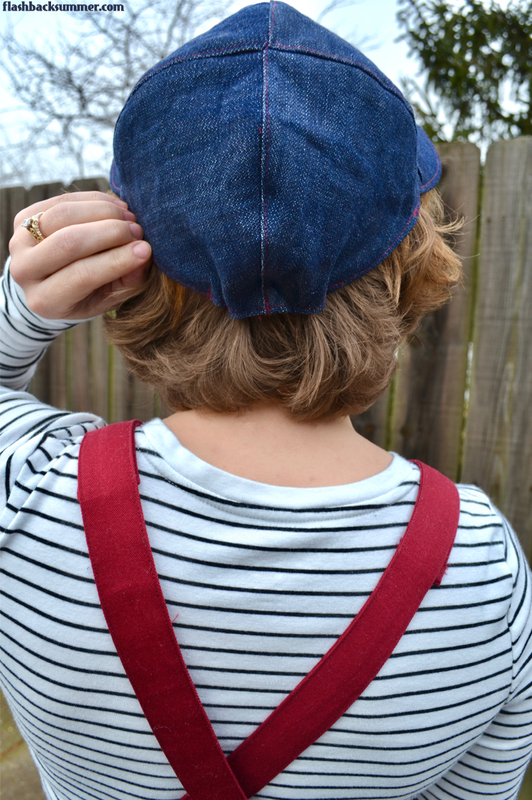 I also added a bit of elastic to the back of the hat to make it a bit more snug. Total cost: I won the pattern a while ago, and the vintage notions were given to me. Just the cost of the fabric, which I think was about $20. Notes: Seam allowances are only 1/2" on this pattern, so you may want to increase them if you'd like altering options in the future. Well isn't that just the most ingenious idea! What a great way to make your wardrobe even more versatile- and they turned out so nice too. SO true! I love that about red! 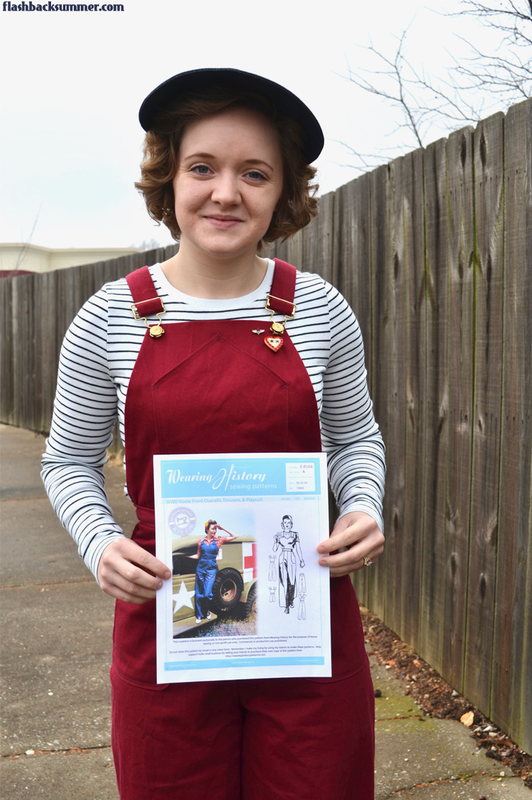 That's the problem with vintage styles- they fit like a glove so if your body fluctuates it can be problematic! 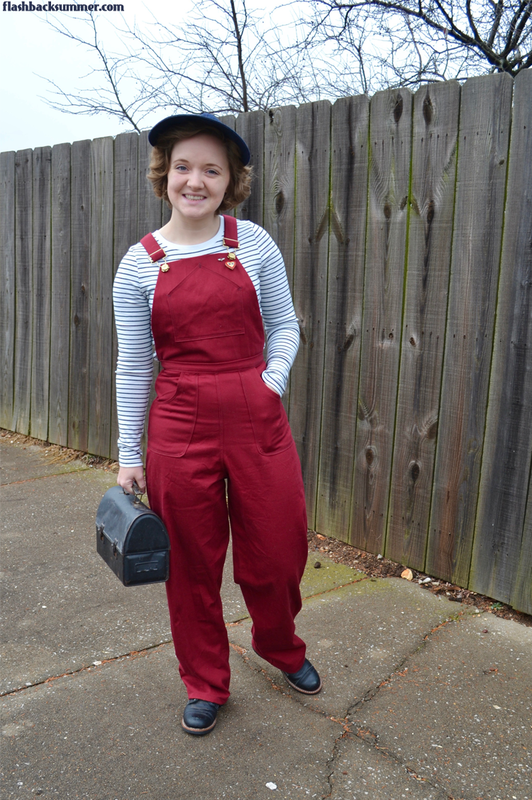 XD I love these overalls though. So cute! I feel like you need to get the really old school dumb bells that are black and the weights are perfect spheres. How impractical was that? Wouldn't they just roll around on the floor? Thank you very much! 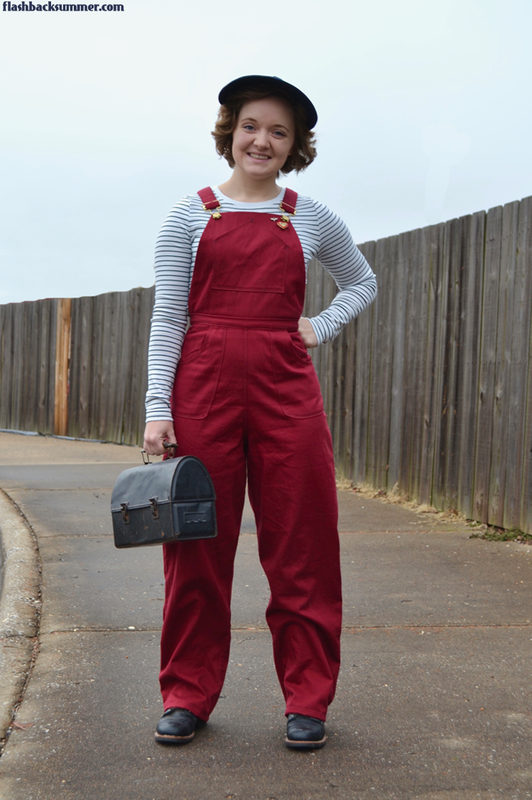 I've seen colored overalls in some old catalogues, so I thought... why not?! I've got red fabric! These are great and will be so useful. I like how you have managed to future proof them too.